Who ever thought, back in the 1940s, that people would be buying perfumes and other cosmetic products while transiting through an airport for an international flight? Who ever imagined that you could be buying Al Haramain L’Aventure or Junoon perfume at the airport, or while aboard an international flight? Both of these scenarios have become commonplace in the air travel industry today, as the explosive growth in air passenger traffic has created a large and profitable captive audience for high-end product retailers worldwide. The year 2017 marked the 70th year of the global duty free and travel retail industry. From humble beginnings in 1947, at Ireland’s Shannon International Airport, the global travel retail industry has grown to become a phenomenal and essential part of world travel. It’s almost impossible, nowadays, to go through an airport terminal without passing through a duty free shop. There are plenty of time-killing activities travellers can engage in whilst waiting at an airport, but retail shopping has surpassed other alternatives in this space, with perfumes topping the list of the most commonly bought goods by travellers. In this blog, we outline just how and why travel retail has evolved into the over US$ 60 billion industry it has become today. Duty free & travel retail is an industry whereby goods are sold to international travellers, often free of customs duty, and on the condition that the goods bought are taken out of the country in the case of ‘departures duty free’, or that they are bought by incoming international visitors in the case of ‘arrivals duty free.’ Travel retail shoppers, then, need to show proof of travel before they can be allowed to buy the goods. This is often in the form of a boarding pass obtained while checking-in for a flight, or for an international voyage by sea, or at an international railway station. The term ‘travel retail’ in general refers to the sale of goods in a travel environment, but not necessarily free of duty. Travel retail products, by definition, are products bought by travellers for their journey, and these have a lot to do with the cultural heritage of travellers. The reason liquor, other spirits and tobacco remain among the top travel retail products is that, even prior to the air travel boom of the 20th century, travellers frequently carried these with them for long journeys. In this vein, perfumes also were part of ‘travel essentials’ especially for sea voyages, to help mask the odours of crowded sea travellers. The idea of ‘duty free’ purchases at transit points has its roots in purchases that were made by diplomats residing at their respective countries’ embassies abroad. Since embassies are officially sovereign territories of the countries they represent, supplies historically purchased were given a duty free allowance. Using the same concept, Dr. Brendan O’Regan, founder of O’Regan Duty Free, argued that passengers who would have passed through passport control points would have legally left the country, thus any duties and taxes of the country they would have left would become invalid. This also avoided double taxation. Many countries around the world give shoppers sales tax refunds when they export goods. In this regard, the sales tax would have already been deducted when the goods are ‘exported’ to the duty free location. The top travel retail products in the world today are perfumes, alcoholic drinks and fashion & accessories. In 2014, the global annual revenue from travel retail was just over US$ 63 billion, and this is expected to reach US$ 85 billion by 2020. Currently, the top selling product category in the travel retail business is beauty & cosmetics, which includes perfumes, make-up, and skincare products. At the inception of the travel retail industry, this was mostly spirits and tobacco, with perfumes being added as top end luxury products. Some top perfume brands in the world have made massive investments by opening exclusive shops inside airport terminals. 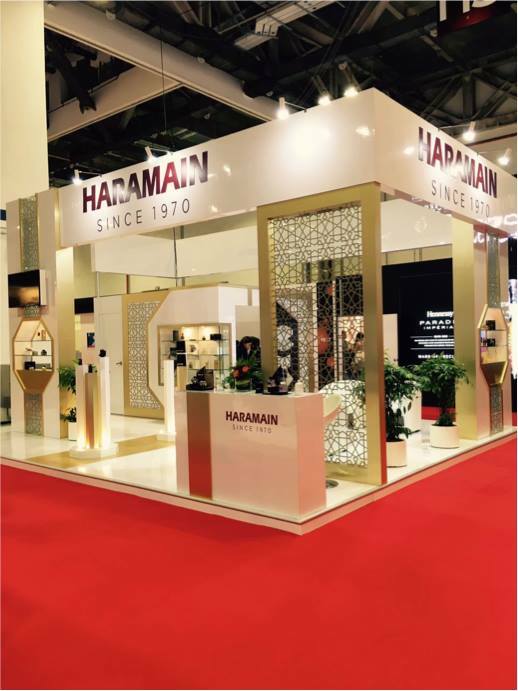 Today, you can find top fragrances from Dubai such as Al Haramain Dazzle Intense, Belle, Signature Rose, Signature Silver and Khulasat Al Oud inside numerous duty free outlets in the Middle East, Asia, Europe and the Americas. Over the years, the travel retail industry has grown to include other product categories such as fashion and accessories, watches & jewellery, electronics, as well as confectionery and fine foods. The reason for this partly lies in the very common culture worldwide of buying gifts for either friends or family in the place you left, or in the destination city / country. So if one travels from Dubai, UAE to Istanbul, Turkey, it may be customary to buy perfumes from Dubai for one’s Turkish hosts, or buy the world famous “Turkish Delight” confectionery in Istanbul, for friends and family back in Dubai. It is also interesting to note that travel retailer ‘Dubai Duty Free’ has a whole section named “Gifts from Dubai”, quite aptly named and positioned as the perfect place to shop for anyone who would like gifts that give them a taste of what Dubai has to offer, such as exquisite, fine fragrances from the house of Al Haramain.